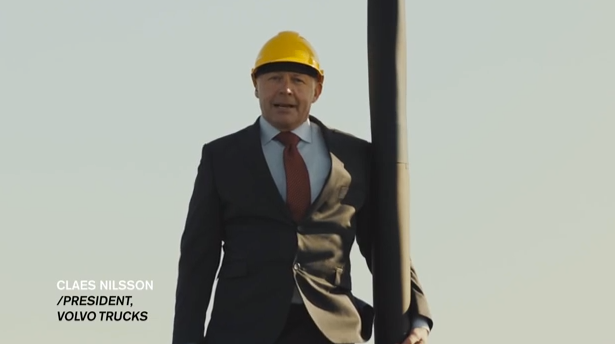 He then holds up a hook from the Volvo FMX and explains it's made of cast iron and can hold up to 32 tons, far more than the weight of the truck he's standing on. As far as we can tell, Nilsson isn't attached to the crane-suspended structure with any sort of safety wire. Putting to words this daring stunt, one YouTube commenter wrote, "How can it possibly carry the weight of his balls?"